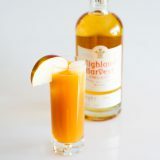 Sarah at Craftbite.com offers us this outstanding infusion, which uses the classic ingredients of a mulled wine to impart a robust, slightly sweet flavor to Highland Harvest Organic Scotch. 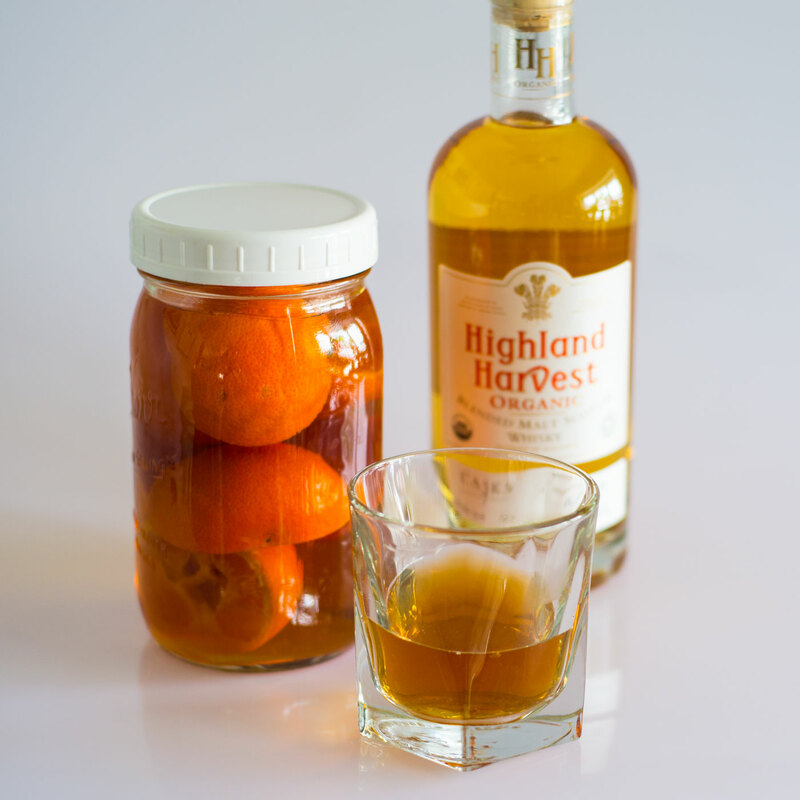 Start with 750mL of Highland Harvest in a sealable glass container, such as a Mason jar. Add four clementines, sliced, one cinnamon stick, and six whole cloves per 750mL of Scotch (the recipe may be scaled up or down). 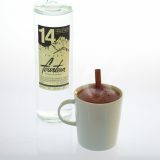 Seal the container and steep at room temperature for approximately five days, to taste. 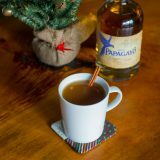 Strain through a cheesecloth to separate the Scotch from the infusion ingredients and discard the solids. Serve neat or with chips of ice.